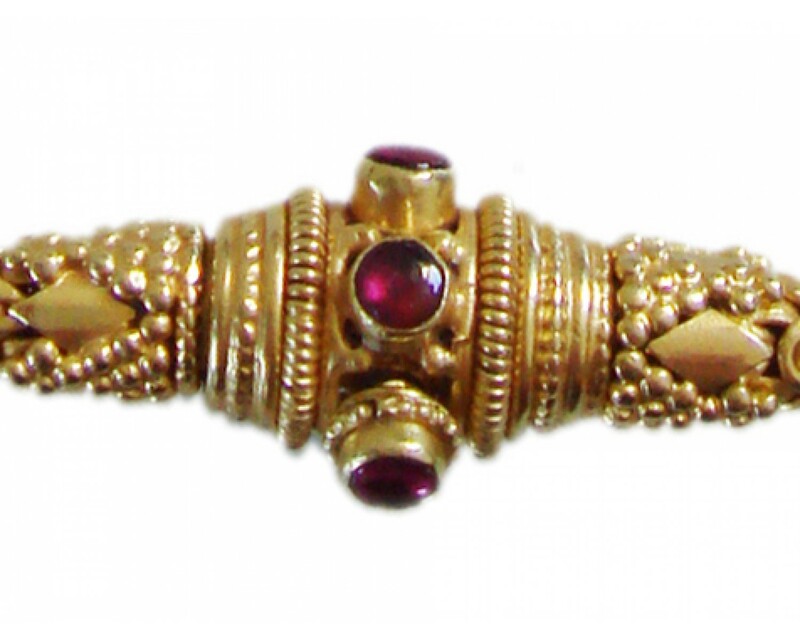 18ct yellow gold hand woven snake effect with cabochon ruby clasp. 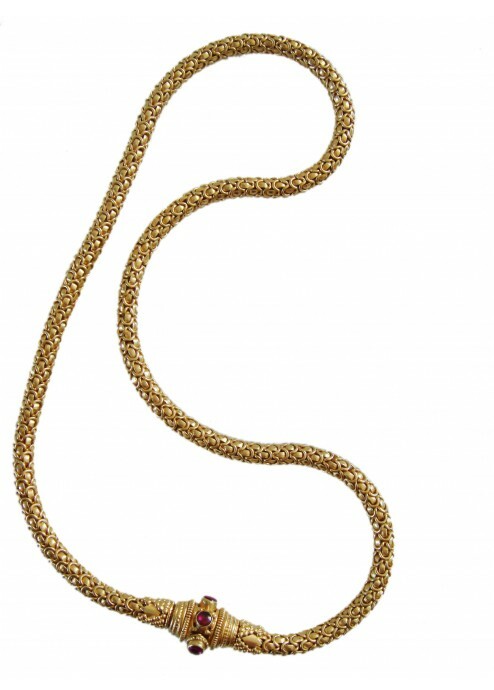 This is a truly exquisite necklace. 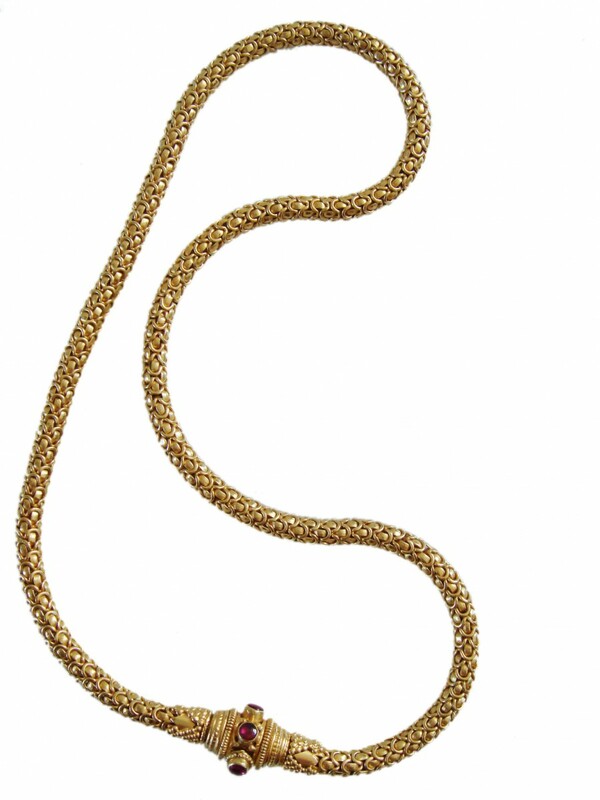 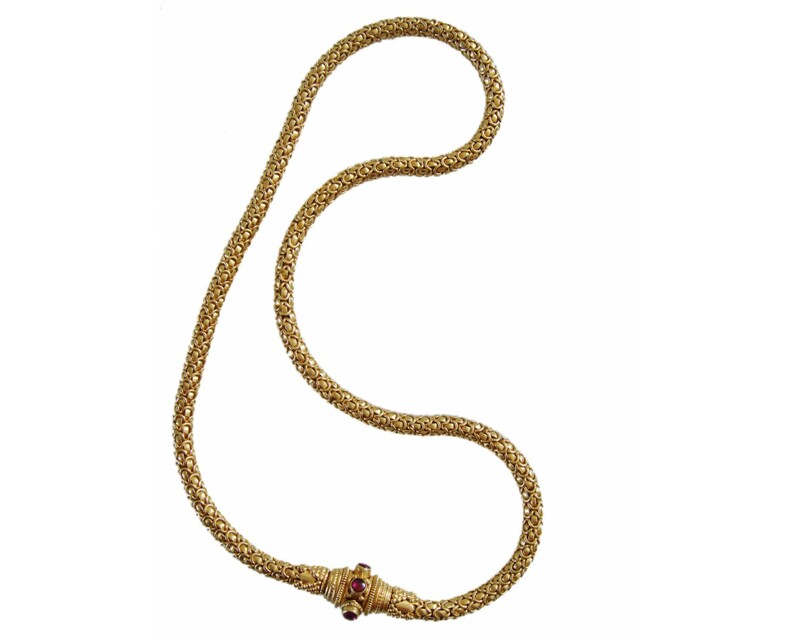 The chunky 18ct gold chain is hand woven by our craftsmen in India and complemented by a stunning ruby-adorned clasp, which makes this piece a real showstopper.